Summary: Researchers provide further evidence that the cannabis compound, CBD, is effective at reducing seizures in people with epilepsy. The new study reveals CBD significantly reduced seizures in people with Lennox-Gastaut syndrome. Previously, the researchers demonstrated CBD was effective at seizure control in Dravet syndrome. Cannabidiol (CBD), a compound derived from the cannabis plant that does not produce a “high” and has been an increasing focus of medical research, was shown in a new large-scale, randomized, controlled trial to significantly reduce the number of dangerous seizures in patients with a severe form of epilepsy called Lennox–Gastaut syndrome. In the new study comparing 2 doses of CBD to a placebo, the researchers reported a 41.9 percent reduction in “drop seizures”—a type of seizure that results in severe loss of muscle control and balance—in patients taking a 20 mg/kg/d CBD regimen, a 37.2 percent reduction in those on a 10 mg/kg/d CBD regimen, and a 17.2 percent reduction in a group given a placebo. The phase III trial was led by principal investigator and study first co-author Orrin Devinsky, MD, a professor of neurology, neurosurgery, and psychiatry at NYU School of Medicine and director of NYU Langone’s Comprehensive Epilepsy Center, and was published online May 17 in The New England Journal of Medicine. The study included an investigational liquid, oral formulation of CBD called Epidiolex. The product is manufactured by GW Pharmaceuticals, which operates in the U.S. as Greenwich Biosciences. GW Pharmaceuticals funded the clinical trial. Lennox–Gastaut syndrome is a rare and severe form of epilepsy characterized by frequent drop seizures and severe cognitive impairment. 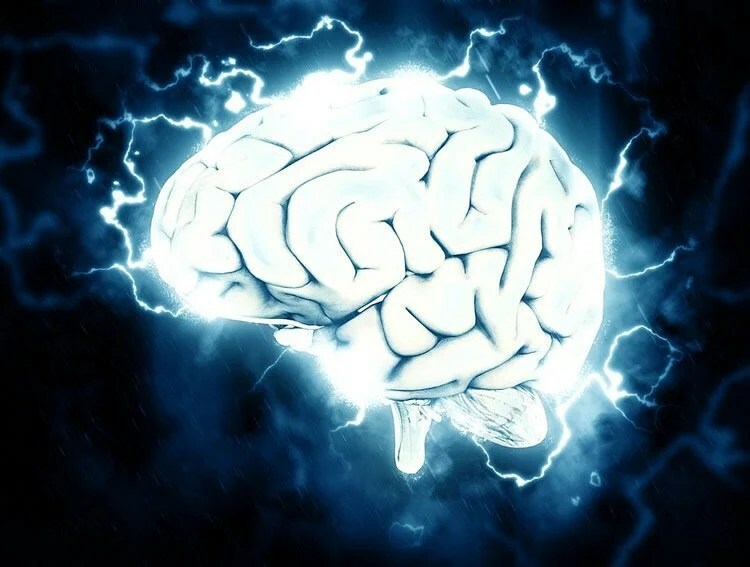 Six medications are approved to treat seizures in patients with the syndrome, but disabling seizures occur in most patients despite these treatments. Researchers enrolled 225 patients, age 2 to 55, with Lennox–Gastaut syndrome across 30 international sites in a randomized, double-blind, placebo-controlled trial to assess the efficacy and safety of 2 doses of CBD: Seventy-six patients received 20 mg/kg/d CBD, 73 received 10 mg/kg/d CBD, and 76 were given a placebo. All medications were divided into 2 doses per day for 14 weeks. The number of seizures were monitored beginning 4 weeks prior to the study for baseline assessment, then tracked throughout the 14-week study period and afterwards for a 4-week safety check. Side effects occurred in 94 per of patients in the 20 mg CBD group, 84 percent in the 10 mg CBD group, and 72 percent of those taking placebo. Side effects were generally reported as mild or moderate in severity and included sleepiness, vomiting, diarrhea, fever, decreased appetite, and upper respiratory infection. Fourteen patients taking CBD experienced dose-related, elevated liver enzymes that were reversible. Seven participants from the CBD group withdrew from the trial due to side effects compared to one participant in the placebo group. A study led by Dr. Devinsky published in last May’s New England Journal of Medicine showed a 39 percent drop in seizure frequency in patients with a different rare form of epilepsy, Dravet syndrome. Those findings represented the first large-scale, randomized clinical trial for the compound. Open label CBD studies led by Dr. Devinsky also have shown positive results for treatment-resistant epilepsies. In the new study comparing 2 doses of CBD to a placebo, the researchers reported a 41.9 percent reduction in “drop seizures”—a type of seizure that results in severe loss of muscle control and balance—in patients taking a 20 mg/kg/d CBD regimen, a 37.2 percent reduction in those on a 10 mg/kg/d CBD regimen, and a 17.2 percent reduction in a group given a placebo. NeuroscienceNews.com image is in the public domain. In April, a U.S. Food and Drug Administration (FDA) advisory panel unanimously voted to recommend approval of a new drug application for Epidiolex cannabidiol oral solution, following a meeting where researchers, including Dr. Devinsky, presented their findings. The FDA will decide whether to approve the medication in late June. “While the news gives hope for a new treatment option to the epilepsy community, more research remains imperative to better determine the effects of CBD and other similar cannabis-derived compounds on other forms of the disease and in more dosing regimens,” says Dr. Devinsky. ”This landmark study provides data and evidence that Epidiolex can be an effective and safe treatment for seizures seen in patients with Lennox–Gastaut Syndrome, a very difficult to control epilepsy syndrome,” adds study co-first author, Anup Patel, MD, chief of neurology at Nationwide Children’s Hospital. Funding: Dr. Devinsky received research funding from GW Pharmaceuticals, but no salary support outside of a one-time consulting fee for participating in the FDA advisory panel. He holds equity interests in Pairnomix, Receptor Life Sciences Rx, Tilray, Rettco, and Tevard. In addition to Dr. Devinsky, the co-authors in this study are Anup D. Patel, MD; J. Helen Cross, MB, ChB, PhD; Vicente Villanueva, MD, PhD; Elaine C. Wirrell, MD; Michael Privitera, MD; Sam M. Greenwood, PhD; Claire Roberts, PhD; Daniel Checketts, MSc; Kevan E. VanLandingham, MD, PhD; and Sameer M. Zuberi, MB, ChB, MD, for the GWPCARE3 Study Group. Original Research: Abstract for “Effect of Cannabidiol on Drop Seizures in the Lennox–Gastaut Syndrome” by Orrin Devinsky, M.D., Anup D. Patel, M.D., J. Helen Cross, M.B., Ch.B., Ph.D., Vicente Villanueva, M.D., Ph.D., Elaine C. Wirrell, M.D., Michael Privitera, M.D., Sam M. Greenwood, Ph.D., Claire Roberts, Ph.D., Daniel Checketts, M.Sc., Kevan E. VanLandingham, M.D., Ph.D., and Sameer M. Zuberi, M.B., Ch.B., M.D. for the GWPCARE3 Study Group in New England Journal of Medicine. Published May 17 2018. NYU Langone “Cannabidiol Significantly Reduces Seizures in Patients with Severe Form of Epilepsy.” NeuroscienceNews. NeuroscienceNews, 17 May 2018. NYU Langone “Cannabidiol Significantly Reduces Seizures in Patients with Severe Form of Epilepsy.” http://neurosciencenews.com/cannabidiol-epilepsy-seizures-9076/ (accessed May 17, 2018).